Tip to tip Length 2.75". Tippmann X7 Tactical Foregrip - UMP - Black - Paintball. The UMP™ Foregrip has mil-sim looks and durability. Contains a pre-molded Picatinny bottom rail and built in front sight. Barrel is in good shooting condition. Barrel is old and well used. Threads: TiPX TCR Threads. RAP5 MP5 Paintball Gun Parts #5308 Locking Screw [CJ5-5-1]. RAP5 MP5 Paintball Gun Parts #5305 Fire Selector [CJ5-4-1]. © Modern Combat Sports. PICK UP OPTION. Made in the USA. BACK WILL NOT FIT SHOCKER SFT OR SHOEBOX THREADED SHOCKERS. Works just like a standard GOG or Smart Parts Freak barrel back. Freak barrel front for display only and is not included. Freak insert is for display only and is not included. Tip to tip Length 3.75". Enjoy your Dye UL or Boomstick Back with your factory Bob Long 2pc Barrel Tip! 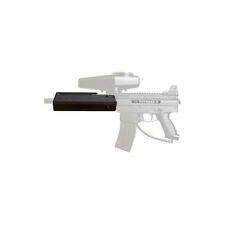 Great for use with any Tippmann TiPX that is set-up to shoot First Strike Rounds.Includes a front muzzle. Lapco TiPX 9" First Strike Ready Barrel with a bore of 0.683. © Modern Combat Sports. RAP5 MP5 Paintball Gun Parts #5305 Fire Selector [CJ5-4-1]. Gloss black. Includes Matrix laser engraving. This part was tested and is in good working condition. Half of a batch of Cocker fins in. 690 bore. Mistake during laser engraving, labelled as. 686 incorrectly. It sprays 6 ounces of liquid paint or water, and covers an area up to 600 square feet! Bomb threats are real! Action-plans are vital! © Modern Combat Sports. 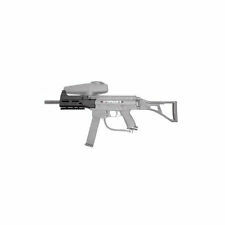 RAP5 MP5 Paintball Gun Parts #5305 Fire Selector [CJ5-4-1]. 14 1/4" Lapco Tiberius Arms FSR Rifled 683 Barrel with Tippmann TPX TiPX A5 Threads. Dust Black. Extends your barrel aprox 1" when installed. This tip is made to replicate the tactical / combat look and adapt it to your paintball gun! Fits RAP4 and SCONI style barrels others! This is a Custom Products Impulse / Shocker NXT / Luxe barrel back. Dust Black.689 bore. This SSC Original screws onto any Autococker threaded Classic 5" Freak Back (deadly wind, freak, freak bored barrels, etc) and allows for the use of XL inserts. It is Autococker threaded on both ends. Après avoir lavé les cheveux avec le shampoing HIGH AMPLIFY de Matrix. Appliquer leConditioner High Amplify sur cheveux mouillés. DYE GF Blue Boomstick Barrel for Paintball Marker for sale. >> More you buy More you save <<. Push in and pull out paint. THESE ARE FOR TECH WORK ONLY. Inception Sleeper Extended Reach Pump. THESE WILL NOT FIRE A PAINTBALL. Designed to reduce the cycling sound by 40 decibel! Total length tip to tip is 12.75 ”. Aluminum Anodized gloss black. Includes o-rings inside to hold insert. THIS BARREL TIP WILL NOT WORK WITH STANDARD LENGTH FREAK INSERTS. Freak insert is pictured for display only and is not included. Includes 2x o-rings inside to hold insert. BACK WILL NOT FIT SHOCKER SFT OR SHOEBOX THREADED SHOCKERS. Freak insert is for display only and is not included. NOTE: This barrel back is aprox. 1” shorter than a standard Dye barrel back so your overall barrel length will be shorter by 1”. The Deadlywind Null carbon fiber barrels are ultra-lightweight, accurate, and quiet. They are a straight-bore design with a 0.688" inside bore. Unlike other carbon fiber barrels, the Null barrel is built with a unique 3 layer construction.